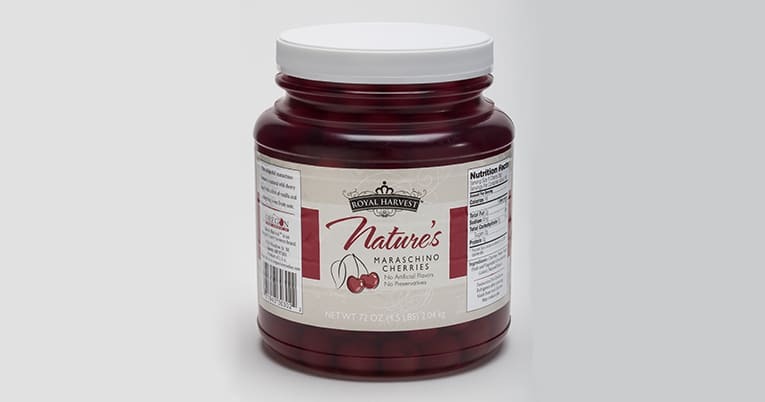 Why do Royal Harvest Maraschino Cherries taste so good? It’s simple. We hand pick our cherries at their peak for just-harvested freshness, then add simple ingredients. We only use non-GMO, cane sugar, fruit and vegetable concentrates for color, and heat pasteurized for food safety. Try them, we think you’ll agree that clean ingredients simply taste better. Our Nature’s Maraschinos have more of the traditional full-bodied wild cherry flavor. You’ll love the lingering sweetness and the hints of vanilla and almond. Royal Harvest Nature’s Maraschinos are the perfect garnish or topping for any dessert or beverage.